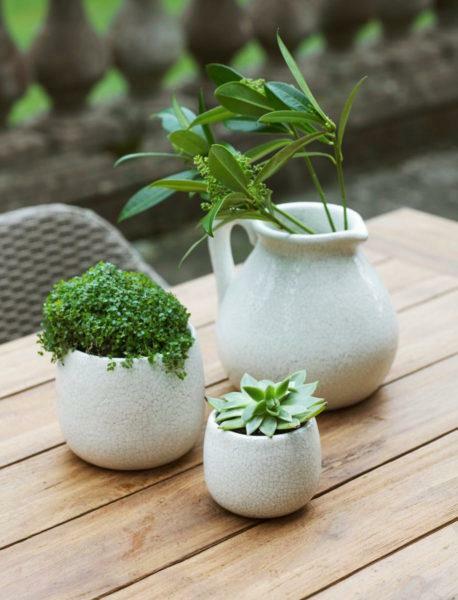 Beautiful white crackle glaze ceramic planters. Next Day Tracked Delivery by Royal Mail. Beautiful Crackle Glaze Ceramic Planters. Beautiful white crackle glaze ceramic planter. 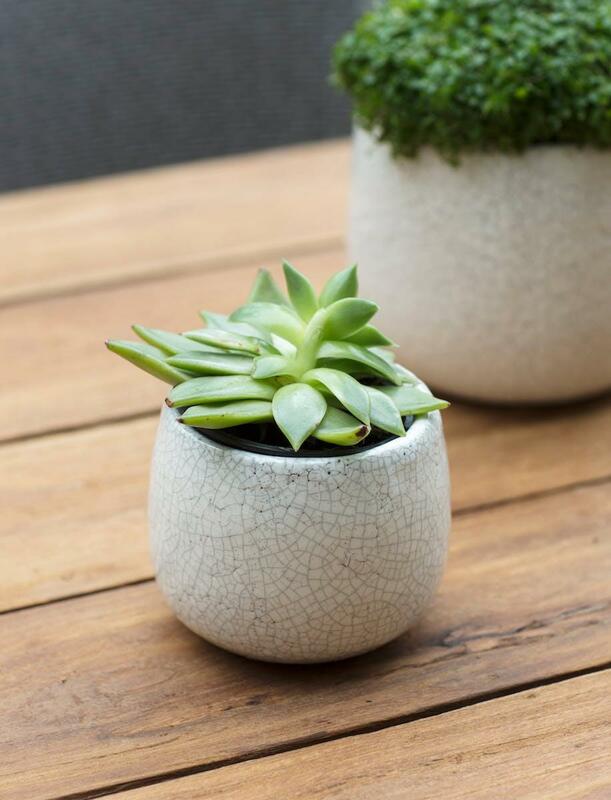 With its unique white crackle glaze the Ravello Pot is a perfectly rustic way to display greenery or succulents. Crafted in Ceramic, the chunky rounded appearance suits being positioned on a shelving unit, windowsill or console table. Designed for indoor use only it will complement a range of interior decor styles and colour schemes. Available in 2 sizes – please select from drop down menu.